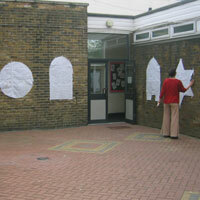 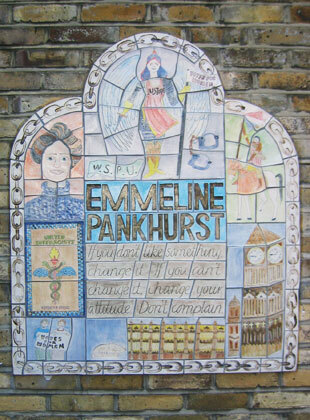 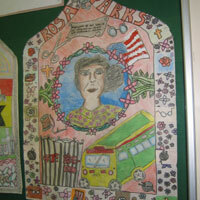 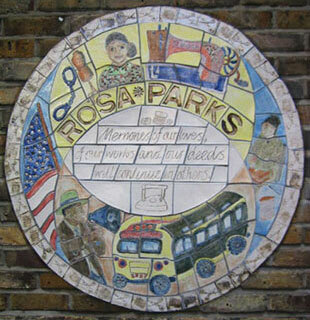 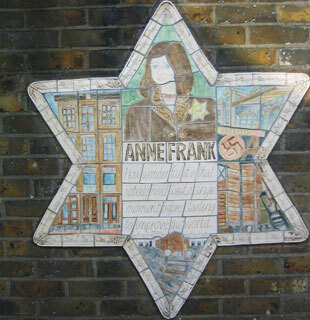 As a secondary girls school, the decision was made to make five panels to celebrate the five women who the school's houses are named after: Anne Frank, Rosa Parks, Maya Angelou, Elizabeth Blackwell and Emmeline Pankhurst. 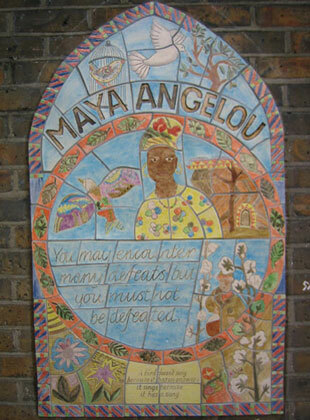 Each woman made a huge difference to politics, science or art despite the restraints put on her by the society that she lived in. 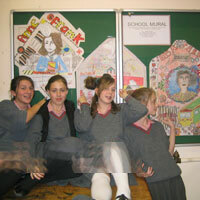 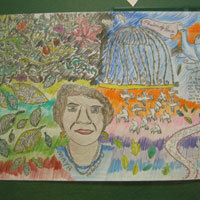 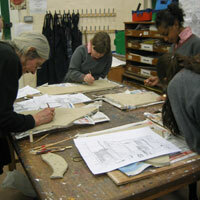 The students researched the different times and stories of each woman which were then developed into imagery with the help of Catherine Clarke in sessions in school. 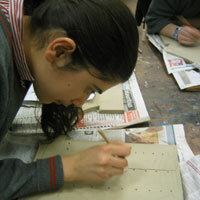 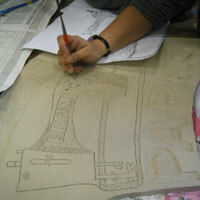 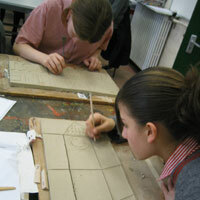 Designs were then drawn up with the girls and clay was brought into the school for them to transfer their plan onto, to texture and develop mark-making. 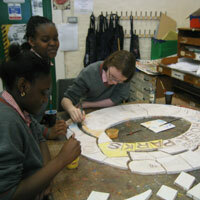 The finished tiles, bisque fired, were then taken back into the art department and the pupils painted under-glazes and glazed the tiles. 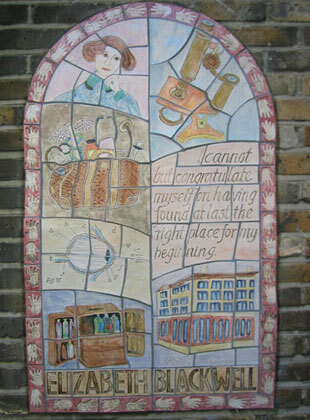 The finished five murals contain inspiring quotes and imagery from their individual stories and inform and remind students of great achievers their school houses are named after.